Triad Consulting Group LLC began in 1993. Ross, Peter and Marc continue Triad's research and advisory, bringing their diverse experience to building strong, resilient organizations. Marc Maltz has helped CEOs, Presidents, Boards and senior officers develop and transform their organizations, manage risk and improve productivity for over 20 years. His work in organizational and leadership development, change management and organizational resilience has enabled clients to gain critical personal insight to tackle difficult situations and achieve new levels of success. Marc specializes in helping clients develop organizational resiliency, a key component for any firm navigating complex business conditions, shifts in the marketplace or other organizational trauma. Marc is a partner of Triad Consulting Group LLC, a Principal of the Boswell Group LLC and a member of Reboot.io. He is a Registered Organizational Development Professional, and a member of the A.K. Rice Institute and the International Society for the Psychoanalytic Study of Organizations. He is on the Board of Directors of the Gordon Lawrence Foundation and Patron Technologies. 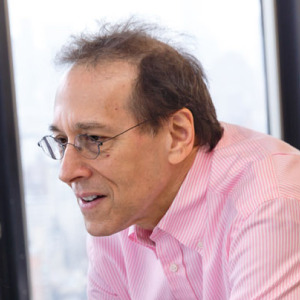 Marc has an M.B.A. and holds postgraduate certificates from MIT, the Wharton School and the William Alanson White Institute for Psychology and Psychoanalysis. Ross Clinchy, Ph.D., has over 15 years of senior management experience as an organizational consultant and psychologist. His interests lie in the processes that shape thinking and behavior in work settings and in the organizational structure and conditions that support productivity and creative problem solving. Ross has consulted to a wide variety of clients on organization development and restructuring, strategic planning, management development, and human resources issues. Ross received his Ph.D. in psychology from the City University of New York and his Master's Degree from the New School for Social Research. Peter DiCaprio, Ed.D., specializes in group dynamics, organizational learning, and identity theory and practice in building organizational success. He works with employees at all levels and is keenly interested in racial/ethnic/gender identity development and issues of identity equity in the workplace. Peter is skilled in organizational research design, implementation, and assessment, using both qualitative and quantitative methods. He has designed instruments to measure organizational resilience, organizational learning, organizational stress, and organizational conflict. He is certified in the Intercultural Development Inventory. Peter holds a doctorate in Organizational Learning from Columbia University. He is a certified mediator and holds a B.A. in Fine Arts: Drama. Peter's blog Middling to Fair offers important views on racial, ethnic and gender inequality and identity development.